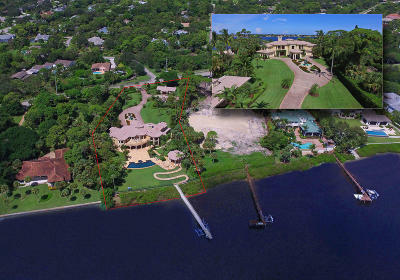 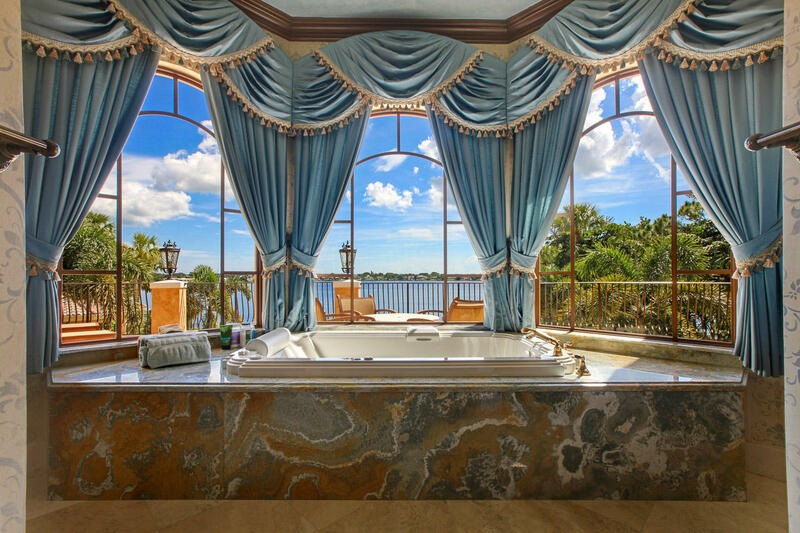 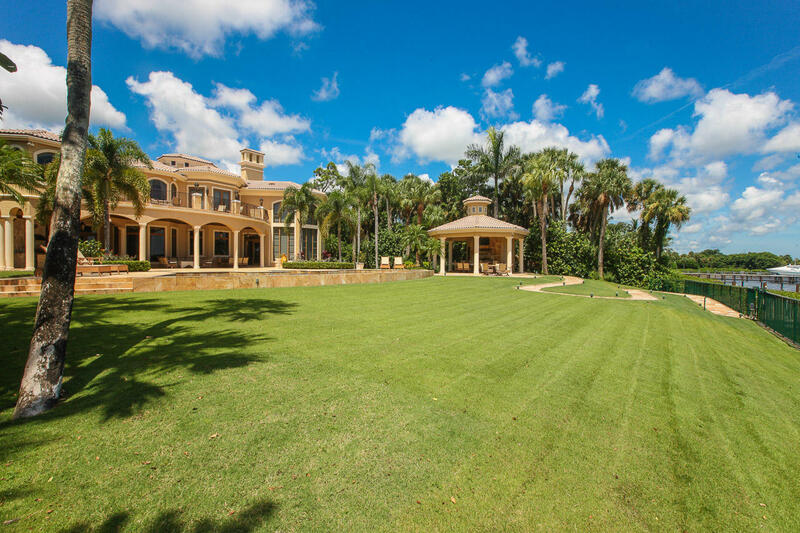 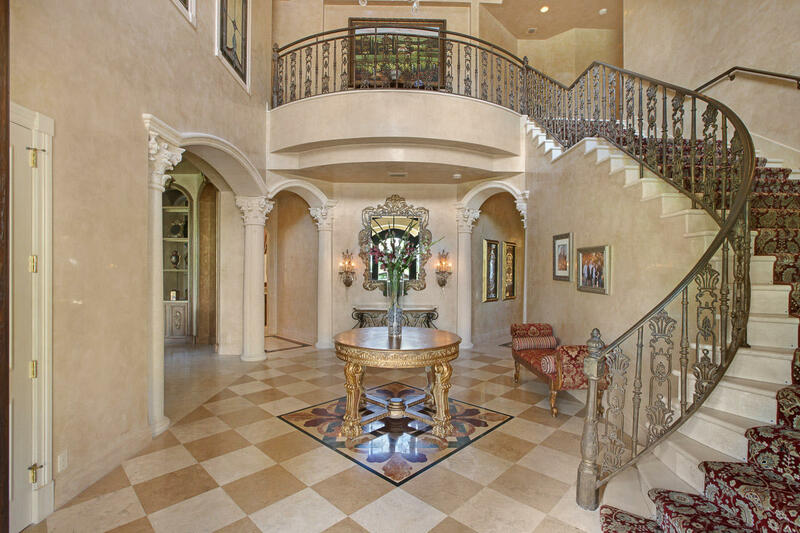 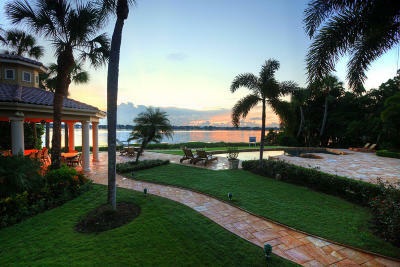 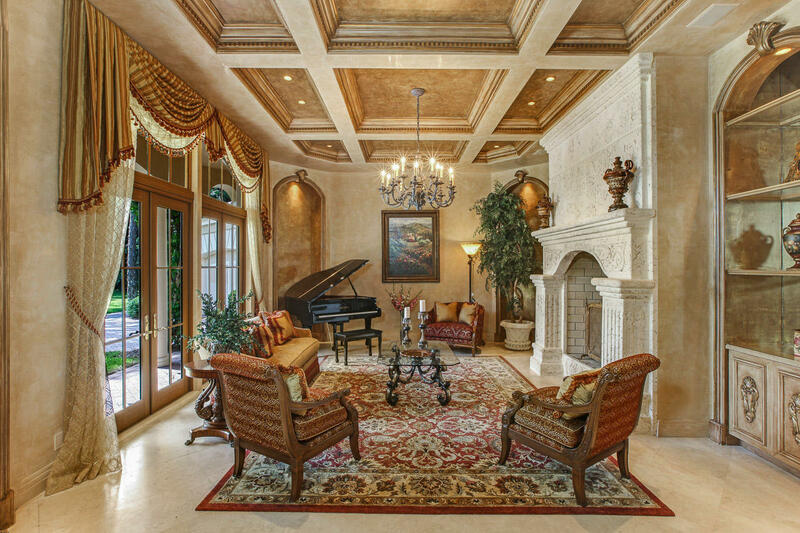 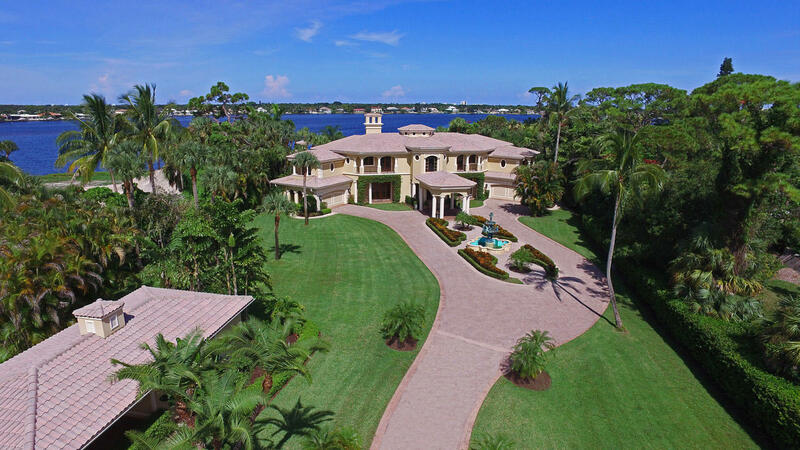 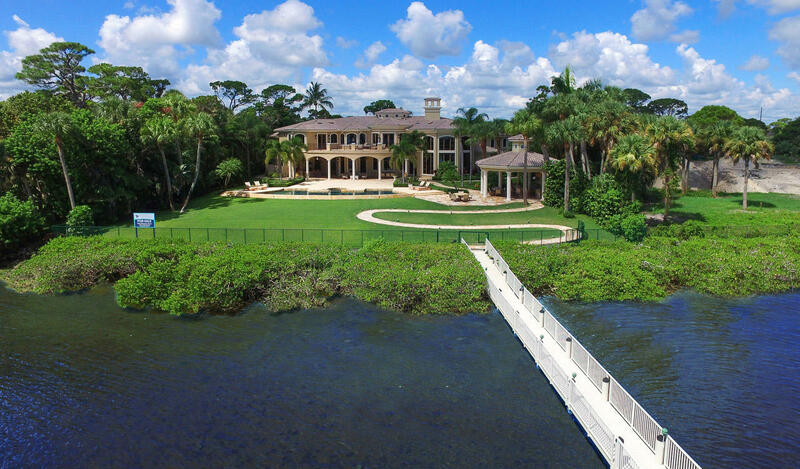 Palatial private gated Riverfront Estate. 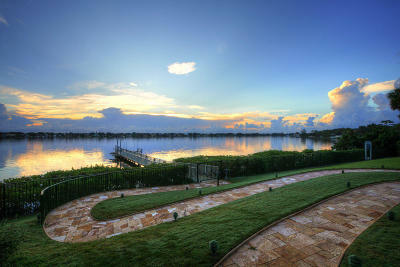 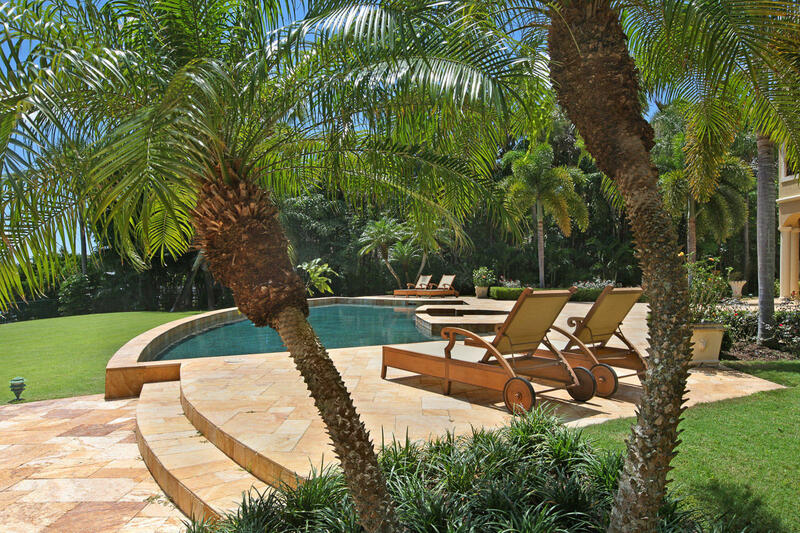 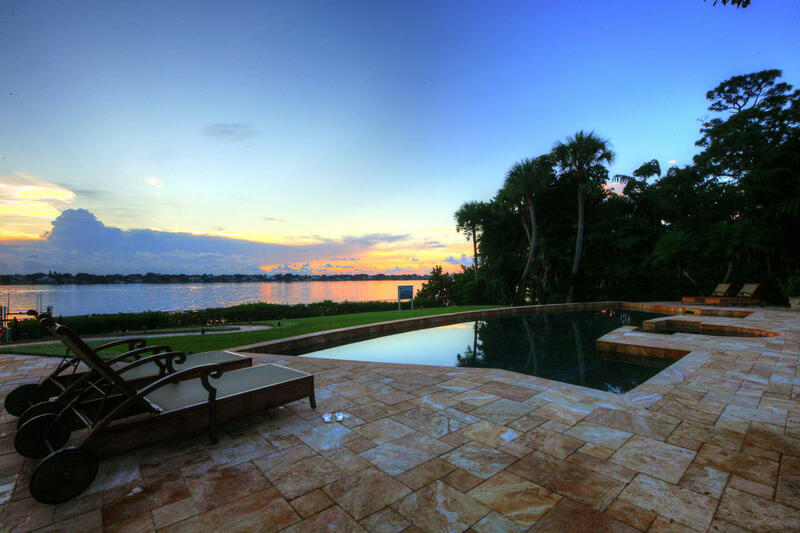 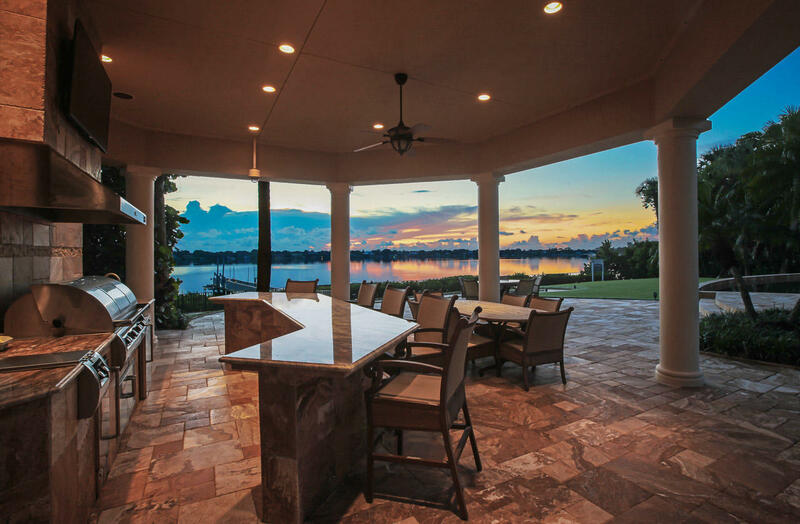 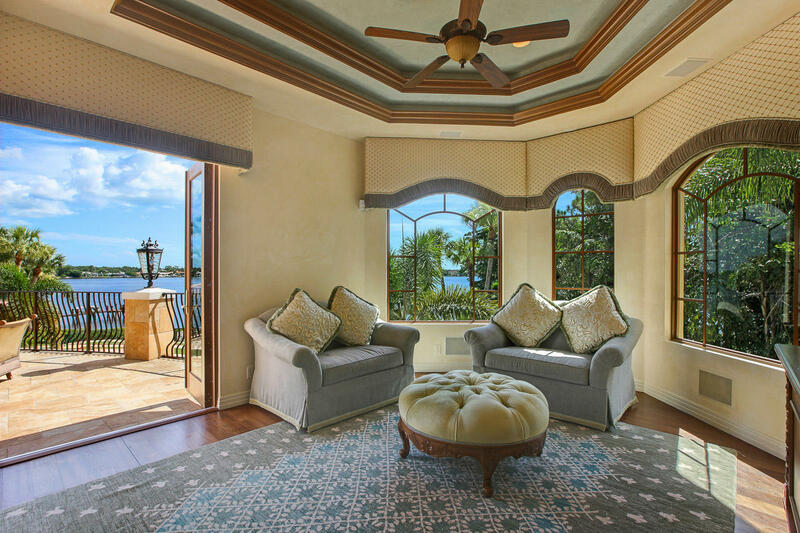 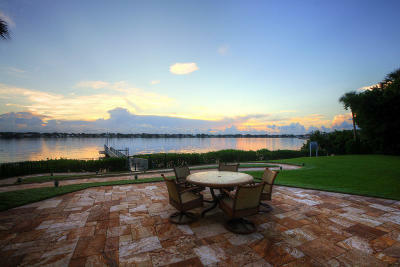 This elegant home sits on 1.72 acres with 180 ft. of panoramic riverfront views. 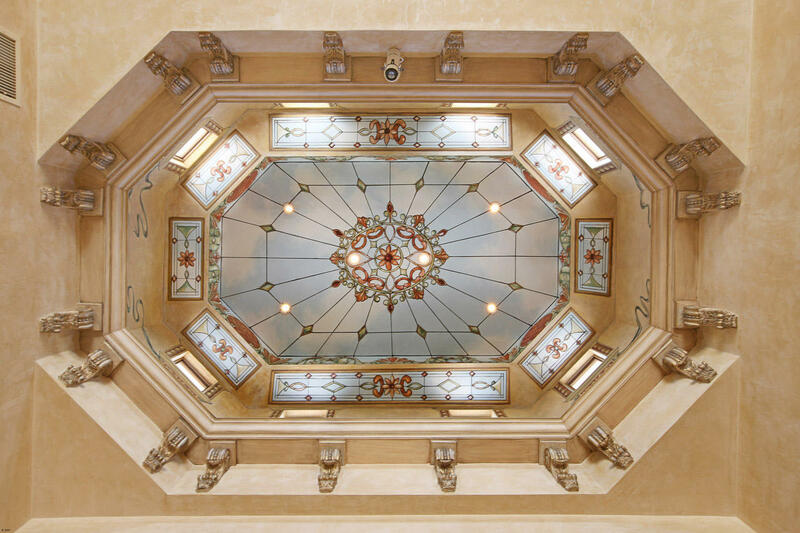 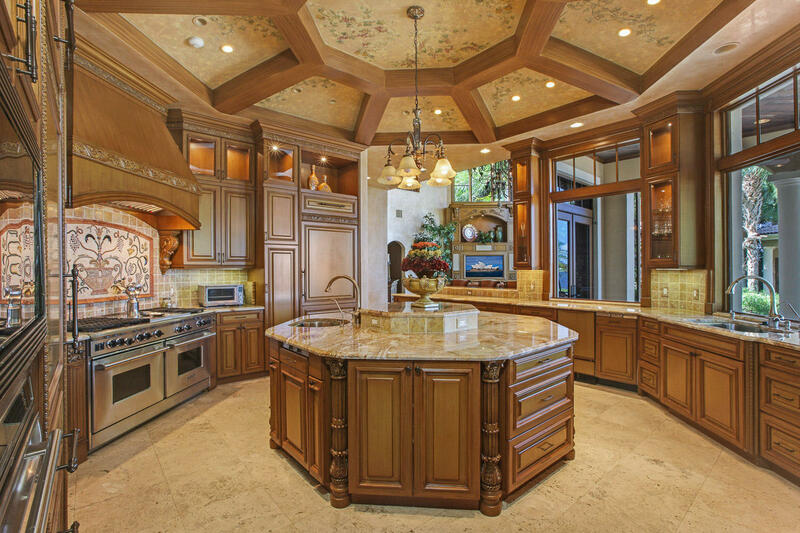 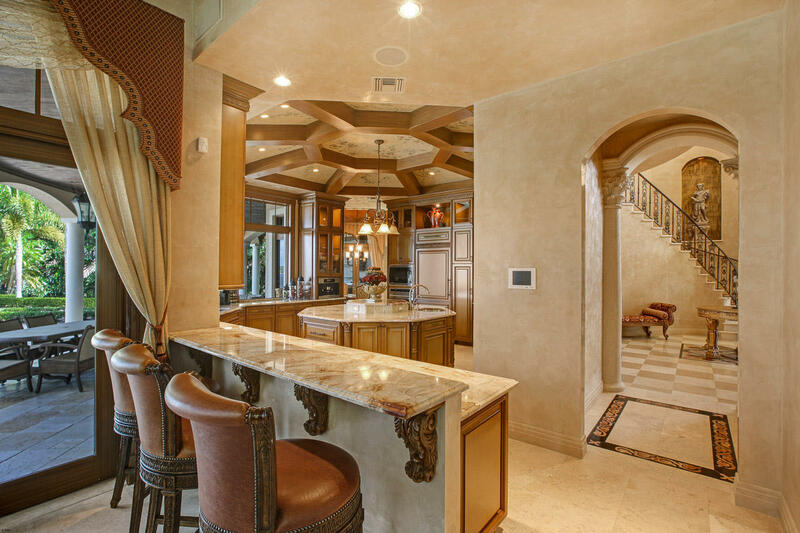 This stunning home features saturnia marble & wood flooring, Venetian plaster, gourmet kitchen with Wolf appliances, formal living room with a fireplace, formal dining room, full elevator, 2 laundry rooms, 6 car garage, wine cellar, separate catering kitchen & a caretaker quarters with a living area and full kitchen. 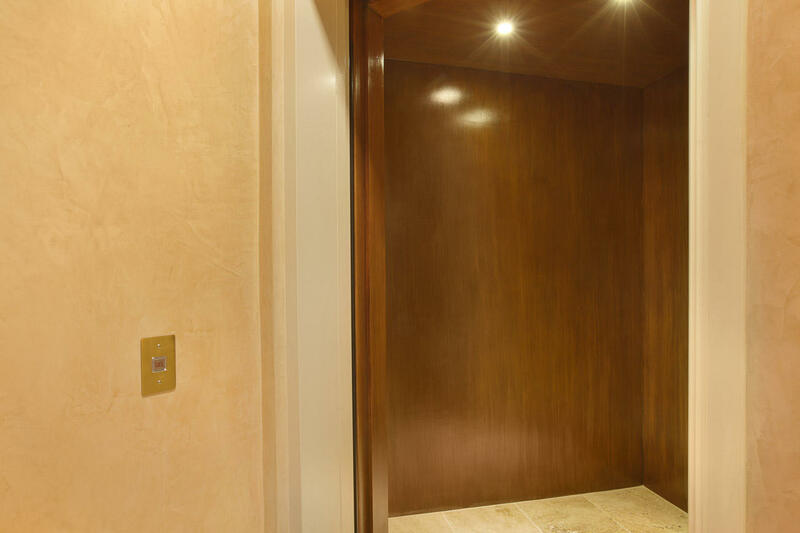 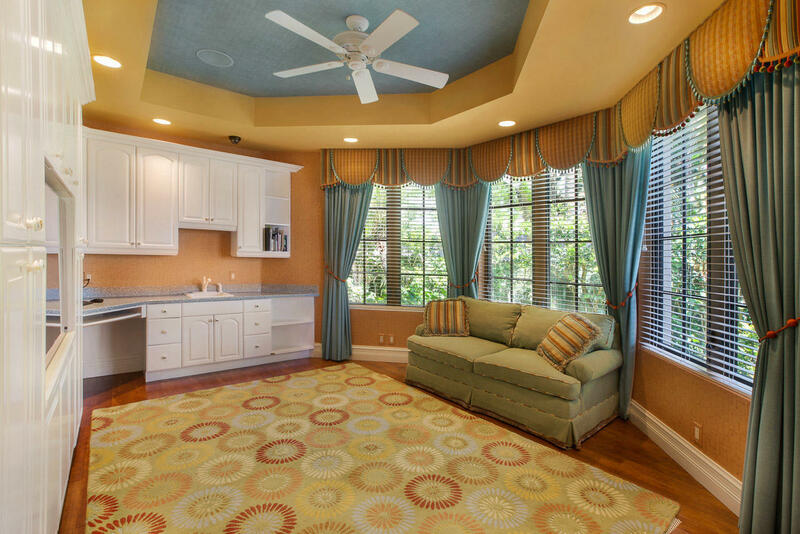 Crestron lighting, security system, NEWER air-conditioners & impact windows. 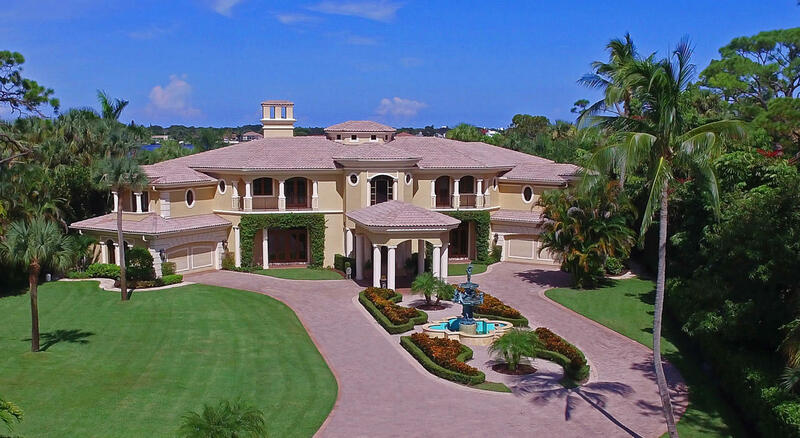 The separate 1, 176 sq. 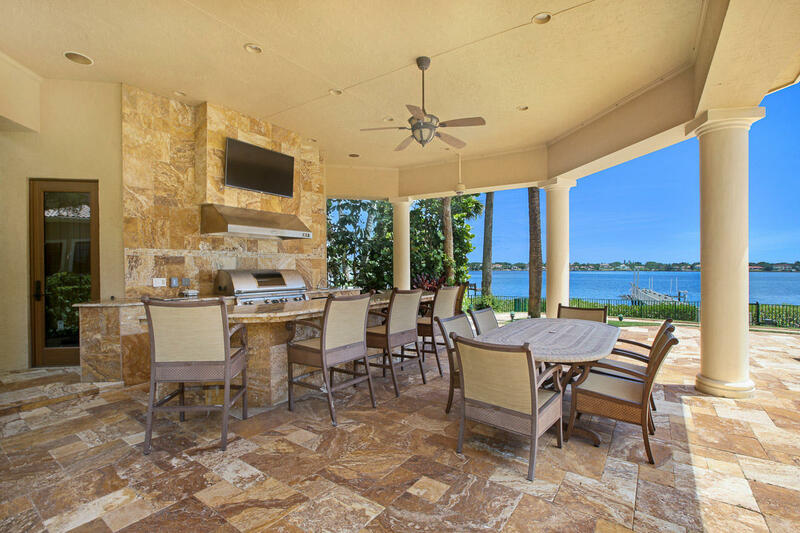 ft. guest house has 2 bedrooms, 2 baths with a full kitchen and living area. 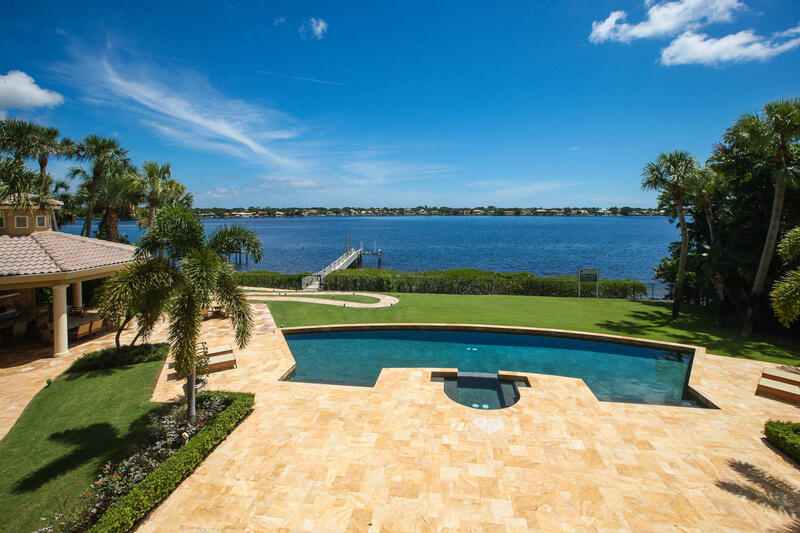 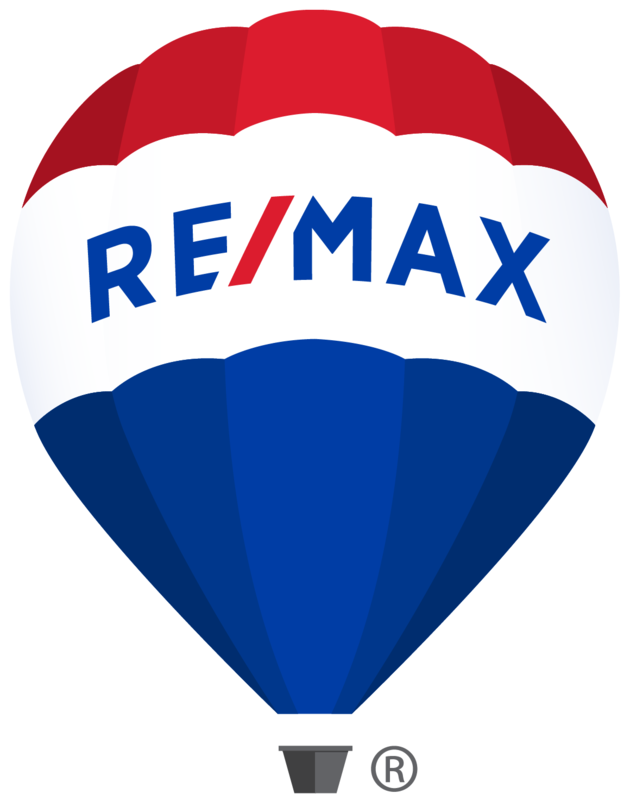 2 newly updated outdoor kitchens with Lynx & Fire Magic appliances, all new exterior tile, newer dock with a boat lift, & jet ski lift, resurfaced pool, & lush landscaping. 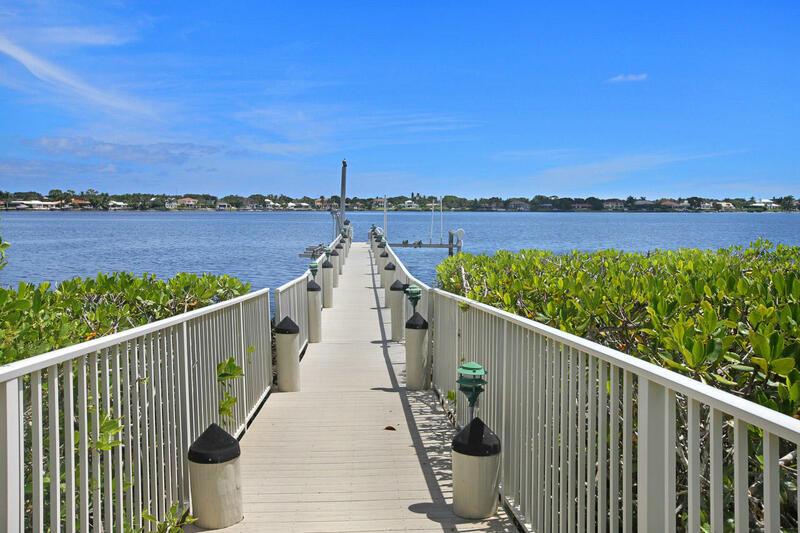 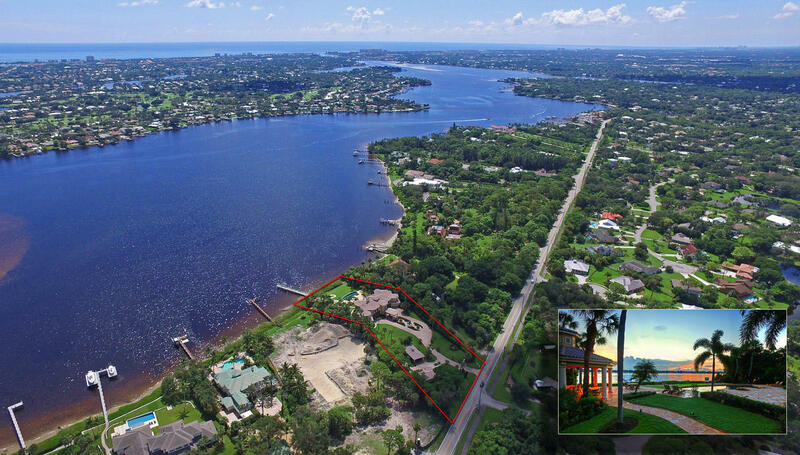 Waterfront: Navigable, Ocean Access, River Yes 180 Ft.